One of the fundamental issues experienced throughout clothing sessions is color running. This happen when clothing isn’t legitimately sorted and dark clothes wind up being washed with bright ones. Color running issues can additionally be brought on when newly bought fabrics are washed with the regular laundry; the newly bought one almost always shed color in the first wash. There are approaches to dodge this incident and likewise to evacuate color stains and rescue light-colored dress on the off chance that it does. We asked our folks at TheLaundryCenter that how they manage to tackle this huge problem in such a place where the clothes are in huge number. They told us that ruining a single cloth can result in losing a customer, so that’s why they make sure beforehand that they are not taking risk of any kind, they simply sort clothes on the basis of fabric type and colors. You can stop the running or fading of your dark clothes by using the remedies that are already available at your home. Adding white vinegar in the rinse cycle will prevent the dark clothes from discharging their colors. Alternative to white vinegar is using ammonia. It can not only prevent the fading of clothes but can also save synthetic fabrics from getting damaged and moreover it disinfects clothes just like bleach do. When colors got run on white clothes then the easiest way to fix them is soaking them in water mixed with small quantity of bleach, for few hours. Keep this in mind that this is to be done for the white clothes only. The sensitive clothes that can’t be treated with chlorine bleach can be treated with hydrogen peroxide. It is easily available in the chemist shops, and to make best use of it you have to soak the clothes in the water and introduce hydrogen peroxide in it. It will help tackling the color running problem in garments. It can easily be said for almost all people that laundry is the least enjoyable chore. Washing of the clothes might sound simple but many times it can become frustrating, but if you follow our secret tips, you will be surprised that how much of a difference it can make. Many people do the mistake of over soaping the laundry. Apparently it makes sense that if a little amount of detergent can wash well then adding the amount should also enhance its cleaning effect. It is not the case in with laundry detergents and soaps. By doing this you will not only be wasting money and harming the environment but also affecting the cleanliness of clothes; adding excess detergent will make extra lather that will make the dirt to float and eventually making the clothes stained again. To know if you are using the right amount detergent, after wash check out the filters of washer. If there is too much lint on the filters, it means you are putting excess amount of detergent and must reduce the amount significantly in the next wash.
You must have noticed that how the clothes, even the expensive and made of best quality fabric ones becomes duller after each wash. The trick is to add few pinches of salt with your regular detergent in washer and let the water run for a minute or two so that the salt and detergent completely dissolves in it. After that add your clothes to the washer, the clothes will now come out as brighter. Use vinegar just like you use fabric softeners. Distilled white vinegar is not only inexpensive than most fabric softeners but besides softening the clothes it also prolongs the life of fabric and prevents them from running colors. Laundromats with wash and fold services are great for those who wants to save their precious time. But these services mostly cost a lot and you still have to spend time on picking up the clothes from Laundromats. The solution to this problem is to use services like of TheLaundryCenter, where you just have to place order online and your laundry will be picked up and delivered at doorsteps. Such a tough chore can never be easier to tackle. Bleach can be really useful for removing tough stains from the clothes but it has a tendency to ruin the clothes. The experts at TheLaundryCenter have some few tips about using the bleach properly in order to reduce the risk of getting clothes damaged. Even if you carefully rinse your clothes, the bleach residue still remains and gradually makes holes in the fabric or will create thin spots. We will discuss here the methods to avoid this problem and how to lower down the harmful effects of bleach. Many substances can react chemically with bleach to change its chemical state and reducing its bleaching action. There are various products available in market that can neutralize the bleach to prevent it from over-bleaching the clothes which often results in eating through the fabric. Some of the antichlor products include peroxide, metabisulfite, sodium thiosulfate and bisulfite. The antichlor products ensure the safety for environment and your clothes and it helps protecting the quality of fabric. In your workspace line up three buckets and fill the first and third one with room temperature water. Fill the second with one part hydrogen peroxide and 10 parts water. For example: 1 glass of hydrogen peroxide to 10 glasses of water. Flush faded garments in the first bucket, unsettling to evacuate however much of the bleach as could be expected. Expel the clothes from the bucket and inundate it in the second one. Spread the garments out however much as possible in the container to uncover the best surface region for the neutralization to take place. Permit the clothes to drench for 10 minutes. Move the garments to the third container and rinse the apparel completely. There are several products easily available on the market that can be used as alternative to the bleach. They can be less harmful than the bleach but exhibits the same bleaching action property. The most common alternative is hydrogen peroxide. Fill it in a spray bottle and apply directly on the stains of the fabric. Exposure to the fumes of bleach can cause long-term or short-term harmful effects on health. And bleach has the property to rapidly destroy proteins, so it is always advised to keep it away from the skin and eyes. Those expensive laundry detergents that come with added fragrance can not only be heavy on your wallet but also have many side-effects on a sensitive skin. And we know that no one wants their clothes to smell like detergent chemicals, after the wash. We have asked the experts of Landry Service that how they are able to make their customer’s laundry to smell so fresh and good without using any harmful chemicals. They gave us some tips and alternatives that how we can achieve the same result with inexpensive items that might be available at your home already. In your normal laundry cycle add some borax and the same amount of baking soda. This will give a fresh scent to your clothes and adding few drops of lavender water or lemon oil can give a more bold scent. Alternatively you can mix in your detergent two cups of borax and two cups of baking soda beforehand, so you don’t have to repeat the process at every washing cycle. Fabric softeners are usually harmful for sensitive skin, but with a little bit of research in the market you can find a good fabric softener that has been approved by dermatologists. They can make your clothes smell clean and fresh, you just have to add some amount of it in the rinse cycle. Dryer Sheets are also another form of fabric softeners. They are in the form of tissues that can be put in the dryers to soften the clothes and add some fragrance. Some products works best and some simply don’t, you just have to purchase the reputable one. This is a great alternative for those who wash their clothes through Laundromats. With your regular detergent add one cup of vinegar, borax and one cup of baking soda. This will make your laundry smell clean and fresh and will also eliminate the static cling. Before the rinse cycle you can also add few drops of essential oil of lemon, lavender or orange to have some more scent. These essential oils can be purchased from any health store. Do your clothes have gathered some white spots of glue while you were working on a cool project of yours? Whatever the reason is, these stains are about to get removed from your clothes by these simple methods provided by the experts of TheLaundryCenter. The first step is to identify the material of the fabric because each fabric needs to be treated differently to get the proper result. You can identify the material of the fabric simply by seeing its laundry tag. Follow these steps if the stain is on washable fabric like cotton, linen, polyester etc. In a bucket full of warm water add half teaspoon laundry detergent or liquid dishwashing detergent along with one tablespoon of white vinegar and let the stained clothes soak in it. After fifteen minutes rinse the clothes with water. Sponge the stained area with alcohol. Rinse again and launder it immediately. Sponge the stained area with water as soon as possible. While it is still wet apply a few drops of white vinegar and also wet spotter. Take an absorbent pad, soak it in vinegar then cover the stained area with the pad. Let the pad take out the stains as much it can then change the pad with the new one. Repeat the above step till the stain fades away. Remember to keep the stain and pad moist with vinegar and wet spotter during the whole procedure. Flush the area with water to remove the residue of stain and wet spotter. As you can tell that how simple it is to remove the stains, that appears to be impossible to get rid of. And the best thing is that you don’t have to buy expensive detergents to do the job instead all the remedies are commonly already available in the household. Just make sure that you follow the steps properly and carefully to get the best results. We all know that how hectic the job of doing laundry becomes when the clothes are covered with tough stains. 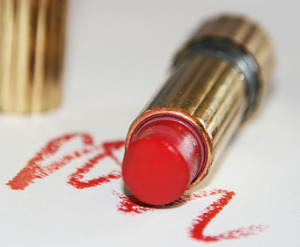 And as far as the tough stains go, the one that is made by a lipstick seems impossible to remove and completely hide. Lipsticks are oil-based products with strong colors which make them one of the toughest stains. Even when you take action on the stain right away, it will take a lot of struggle to disappear the stain and if you do it aggressively then you might also damage the clothes. And what if you notice the stain after the washing or even drying, the heat of dryer had made the stain tougher than ever and it seems that your favorite shirt has been ruined and become useless. But don’t you have to worry as we will be sharing some tips and tricks that we have gathered from the experts of TheLaundryCenter. Spray some strong hold hairspray on the stain and leave it for 10-15 minutes, then take a clean cloth soaked in warm water and gently dab on the spot to remove the residue. Soak a clean cloth in alcohol and without rubbing, dab it on the stain for a minute. Apply some nail-polish remover on the stain and scrub it with a toothbrush. Rinse the alcohol and leave it to dry. Rub petroleum jelly or liquid glycerin on the stained area and let it sit for half an hour. You can also use a toothbrush to scrub it a little. As you can see that the remedies mentioned are most probably already available in your home, so you can now deal with the stain right away and save your shirt from becoming useless. The black colored clothes seems to be losing all of its worth and grace just after first few washes and that faded color keeps on reminding you that your clothes are not new anymore. Unlike the bright colored clothes the dark colored clothes only looks good when they are dark. The lesser they are dark the less they will appeal. To tackle with this problem the experts at TheLaundryCenter have to share with you some great tips to slow down the fading process or even reviving back the darks. The simple change you can do in your laundry to preserve the darks is to use a gentler laundry detergent. 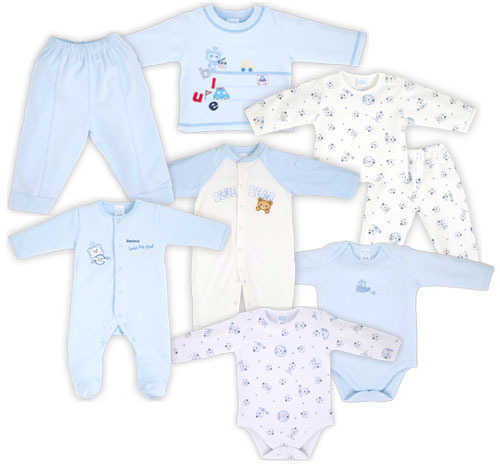 The fibers of your clothes are fragile and the chemicals works as a catalyst in making the clothes looks aged. So it’s a good practice to use a detergent that is not highly concentrated and not so harsh on your fabrics. You don’t need a strong laundry detergent unless your clothes are heavily soiled, so using less detergent is also a good idea and it will also save you some money. And especially be careful of the detergents that are specifically made to make the clothes brighter, it will obviously make your dark clothes look faded after each wash. Instead buy such detergents that are free from these brightening chemicals. Taking time to read the laundry tags can prolong the life of your clothes. When the tag says to not use chlorine bleach then don’t use it, otherwise the clothes will lose their colors or the fabrics will get damaged. If the garment says that it is dry-clean only then leave the job for the pros instead of taking chances. Turning the clothes inside out before washing will also save them from rubbing together. Due to excessive rubbing and friction the clothes will lose its vibrancy and will look aged early. Also try to avoid using dryers as the heat can damage the fibers of your clothes which will cause it to lose its original colors. Following the above tips can help you to slow down the fading process but no matter how much you take extra measures and precautions, the clothes lose its original colors gradually. So the only way to revive them back is to re-dye them so they will appear as much darker as they were when you bought them. We at The Laundry Center has always been so keen to not only provide the best laundromat services but also valuable knowledge of doing laundry to the world so can save their precious time, effort and money. We have again collected some great tips for you to make this chore even more easier and efficient. We all know that the most painful task of doing the laundry is actually collecting and arranging the clothes before the go in the washing machine. If you do the laundry of your whole family then teach your kids and everyone their responsibilities. Give each of them a laundry basket or bag and ask them to put their dirty laundry in it. If you are like most moms then you will be surprised that how a little change in the habit have made such a huge impact. Also make them used to of the habit of checking the pockets before taking off the clothes so when the time comes you just throw the clothes in the washer without wasting any time and energy. You can put more laundry baskets or bags for sorting laundry according to their colors and fabrics. In this way your family can help you out by putting the dirty laundry in the specific basket beforehand, so you do not have to do the time taking task of sorting the clothes. Whenever you see an unwanted pest in house your first thought is to kill it as quick as you can, you simply just don’t think about dealing with it after some time. Think about the stains on clothes as the same, apply stain remover on them as soon they get stains. Leaving them will make the stain more tough and will utilize more energy and detergent afterwards. Most people waste their detergent by putting more than required. Actually it makes the washing worse instead of doing any good, so you should avoid putting detergent without proper measurement. By doing this you save a lot of detergent which means you saved money and time and moreover got cleaner clothes. Always try to iron a whole batch of clothes at once, instead of just ironing a single dress when you need. By doing this you save a lot of energy consumption and finish the chore just at once. Here at the laundry center our experts have always been asked about the proper and efficient ways of doing the laundries. 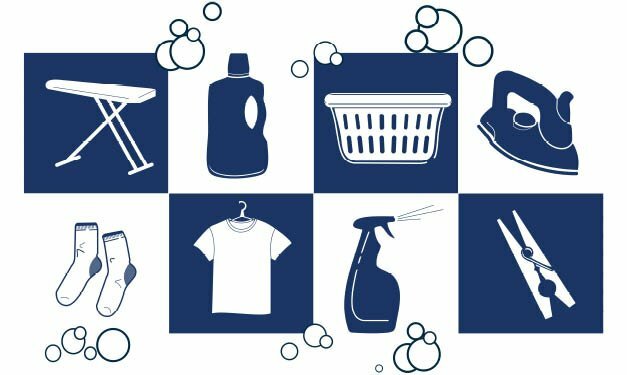 We have compiled the most common how to’s for our readers so they can also get some valuable knowledge about managing and doing the laundry. White clothes can become yellowed after some time, even using bleach don’t help much afterwards, and it seems like the damage is permanent. The best way is to prevent it happening on the first place, you can do it by not mixing the white clothes with the non-whites while washing. 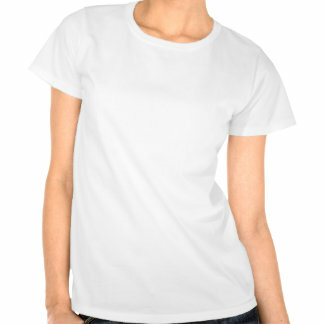 Always dry the white clothes under the sun, it is better than using bleach and it also helps brighten the white clothes. Not storing the white clothes properly also cause yellowing. Avoid storing them in cardboard box or wooden place. ● In a tub half full of water, add oxygen based bleach then add your yellowed clothes in it and keep it for overnight. Wash them as usual and add a cup of vinegar while rinsing them. ● You can additionally add bluing to the clothes in water while washing or rinsing. Follow the instructions properly of the specific bluing product to get the best results. It really helps to make the clothes appear brighter. If you want to slow down the fading of blacks then make sure that you only put your clothes in the washer only when it really needs washing. No matter how carefully you wash, a little tear and wear and occur and the color starts fading. ● Avoid the sun on darker clothes, the ultra-violet rays makes the cloth color to fade quickly. For drying under the sun you can turn the clothes inside out to save the colors. ● You can dye the faded clothes to bring back its darkness or you can add coffee to rinse cycle, which is very quick and effective. Yes, we are aware of the fact that some clothes are so comfortable and well-fitted that you fell in love with them and want to wear it for as long as possible. As you might have now realised that these techniques are so easy and effective, that it actually have helped a lot of people from not losing their favourite clothes. ● Only wash them in cold water: This is important and obvious as hot water can make the clothes to extra shrink, it is also harsher on the clothes’ fabric. ● Turn your kids clothes inside out because it keeps them from getting beat up and fading in the washing machine. Also it is very important to do on handmade clothes. ● Dry them in sun: It works like magic as sunlight not only makes them smell good but also lifts stains right out. However, if the clothes are of darker color then turn them inside out to avoid fading. ● Don’t use detergents with added fragrances: They are harmful for sensitive skin and can cause irritation. Or you may use added fragrance detergents that are approved by dermatologists. ● Avoid fabric softeners: The idea of having soft clothes that also smells good, for kids sounds good but almost all fabric softeners are as harmful as the detergents with fabric softeners, so its best to avoid them. ● Use organic or environmentally friendly laundry soaps to make sure that your kids are safe from the exposure of harmful chemicals. ● If your baby is allergic to detergents then its best to use baby detergents or consult a dermatologist to avoid any sort of risk. 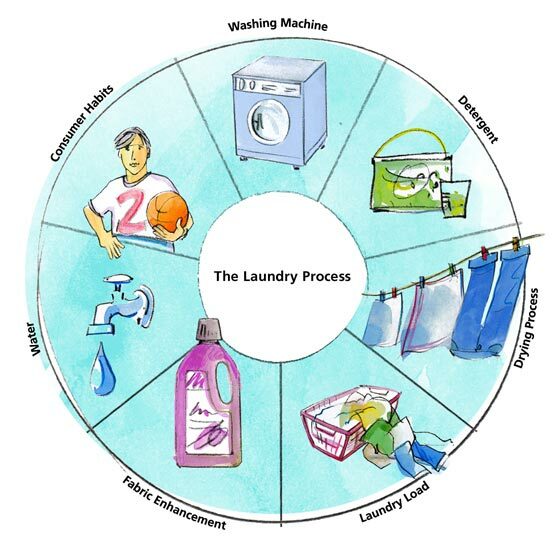 These were some of the tips that will make your laundry effective and safe for your kids.